"Sharing similarities between offshore sailing and traveling along our beautiful West Coast." 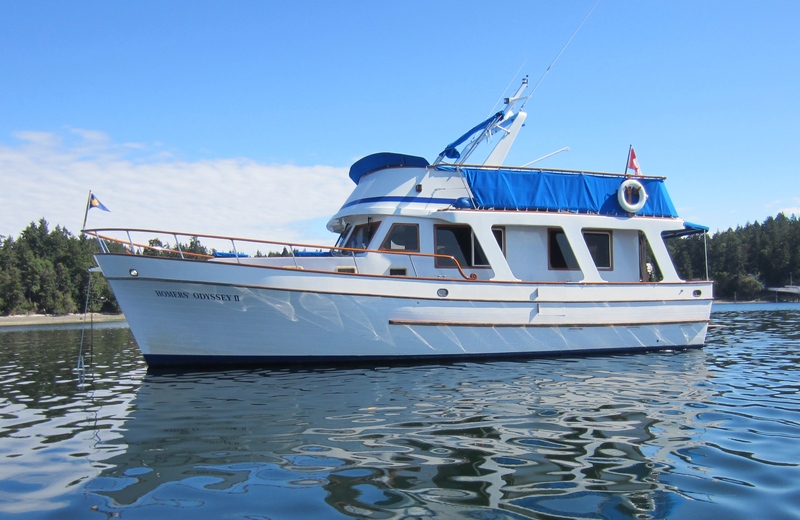 Stan and Lynn Homer grew up on Vancouver Island around small boats. They subsequently owned several small sail and power boats and have been members of BCA since 1981. In 1984, Stan and Lynn launched a Fraser 41 called Homers' Odyssey and sailed as far as New Zealand with their kids in the late 80's. Homers’ Odyssey then spent a couple of years in Sitka before they brought her home. They owned Homers' Odyssey for 32 years during which time she was outside of Canada for 16 of those years. In 2016, Stan and Lynn sold Homers’ Odyssey in Guatemala and purchased Homers' Odyssey II, an Ocean Alexander power boat on our West Coast. Over the following 3 years, they spent five months improving her and then made a trip to south eastern Alaska over a period of five months in the summer of 2018. Stan and Lynn will share a few stories and pictures from this trip and will compare some of the similarities between offshore sailing and traveling along our beautiful West Coast.